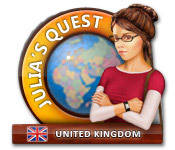 Travel around the UK with Julia and solve the mystery of her grandfather’s old diary in Julia’s Quest: United Kingdom! 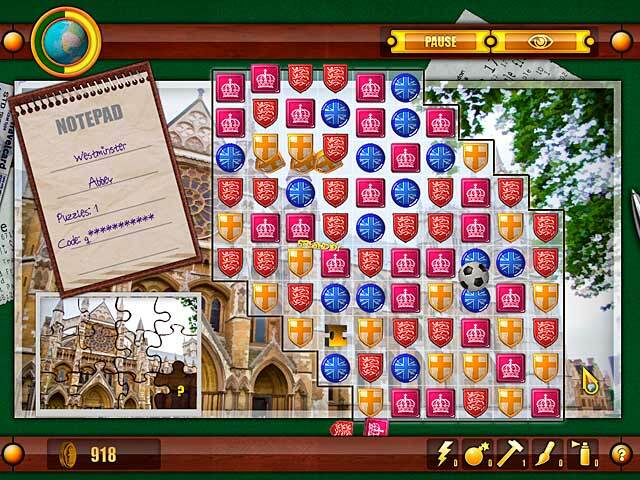 Journey through amazing British cities and other places of interest in this fantastic Match 3 game. Learn interesting facts and unlock incredible bonuses as you solve puzzles to place in the diary. Can you unravel the hidden message left behind by Julia’s grandfather?